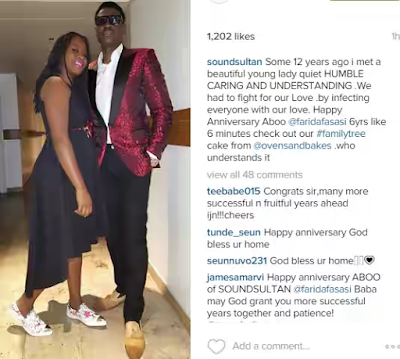 My guy, sound sultan, madam sorry o LOL. Sound sultan and wife looking amazing in this photo, today they celebrate 6years of marriage, between they've been together for 12years. Wowstic, that's really cool as e no easy at all o. See pics plus what sound sultan wrote to mark their weddiing anniversary after the cut..